This entry was posted on April 24, 2010 at 10:30 am and is filed under Barack Obama, Conservative Issues, Democrats, Economy, Politics, socialism, taxes. You can follow any responses to this entry through the RSS 2.0 feed. You can skip to the end and leave a response. Pinging is currently not allowed. Michael, don’t these union workers who have to be bused in to protest understand that their bosses and the ruling elite class of pols are only using them? Don’t they have any self-respect? Don’t they want to achieve more in life than being a ‘useful idiot’ for some politician or union leaders wacked out vision? Their thinking and behavior is foreign to me. It’s foreign to me, also. Politically active unions are a culture all to themselves; and the term “useful idiot” very much applies. There used to be good unions out there. They took care of themselves, and didn’t use their dues to try to purchase politicians at the expense of everyone else. But those days are gone. What a disgrace. We should not have public sector unions to begin with. The tail is wagging the dog. The dog being the tax payer. Sounds like you’d be in agreement with my “Liberal Unions Are Profoundly UnAmerican. Just Ask FDR” article. @Michael. I agree public employee unions are wicked. 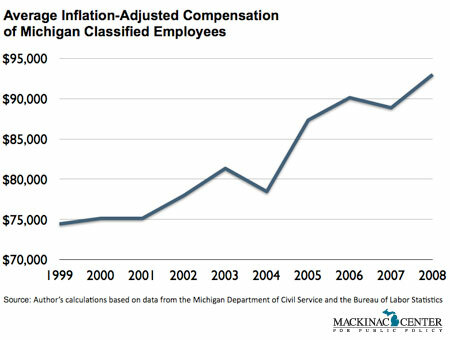 Taxpayers should decide public employee pay not a union. Collective bargaining guarantees EVERYONE a raise, even if they do not DESERVE it. Pay should be based upon merit, not on being a “loyal party member”, which is all unions are. Unfortunately unions are a de facto wing of the democratic party. It is unfair to force union members to pay dues to support immoral agendas of the DNC. Everything you say is “amen” correct. And add to that that even FDR condemned and denounced government employee unions – the HEART of both the unions AND of the Democrat Party – as unAmerican.